No matter how many times we’ve seen it, the feeling of seeing an unknown talent rise to superstardom in a matter of minutes never gets old. You may not even realize it, but sitting next to you on the bus, in the waiting room, or even on the elevator could be one of the most talented people on the face of this earth. With all of that being said, not every one of these hidden gems gets discovered. Some go their whole lives without anybody knowing what their capable of. That is, until talk shows and other broadcasting forums starting making it their priority to feature these unknown talents and give them a national platform to showcase their talents. On one such fateful day, a teen named Justin was featured on the show The Doctors. 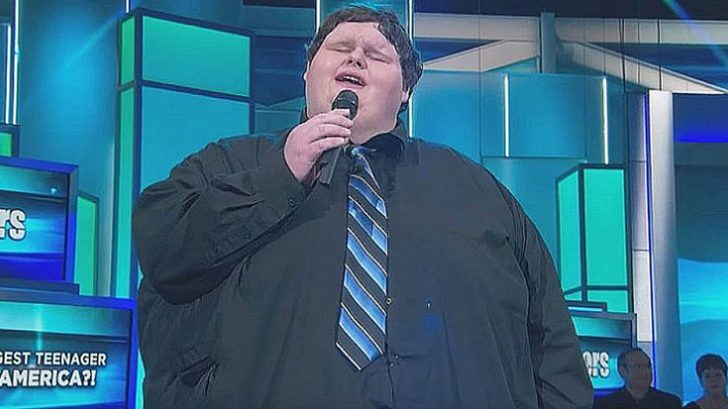 Right after the hosts are done interviewing him, they give him a microphone and ask him to sing Amazing Grace. What happens next stuns everyone.